Want to be a mermaid but can't swim or your legs won't turn into fins when the sun sets like Ariel's from The Little Mermaid? Don't worry we got you covered for you with our Autumn 2016 collection featuring 2 different colored ombre combination. We understand that none of us can let go of the ombre trend ever since it was first introduced to us, despite it slowly phasing out we try to give it a refreshing makeover by offering this type of unusual color combination rather than the usual ombres you find out there. 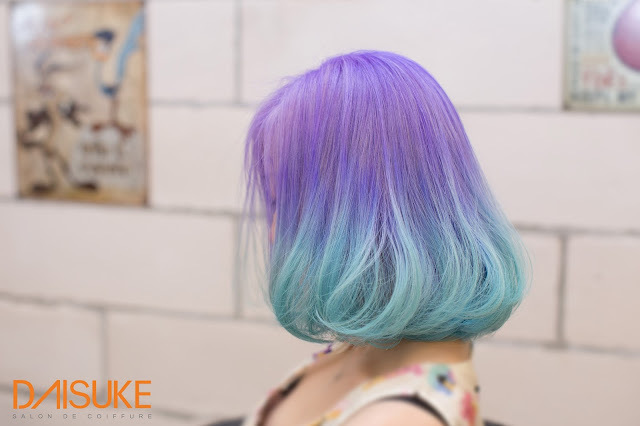 Here in Daisuke Salon, you can definitely tell how much we love our colors and how happy we are to always experiment with new color design or styles to satisfy our customer's wildest hair fantasies! So if you find something on pinterest or instagram that sparks your interest, do show us and we'll try to make it come true with a lil special flare of ours of course. We are hair artists, one of a kind and a master of our profession, so creating new things (hairstyles) is what we do best. 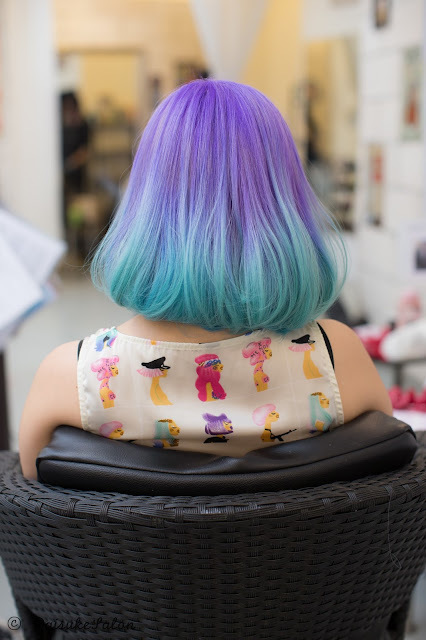 These 2 colors alone is achieved using only color butter as it provides a soft pastel finishing compared to our average coloring methods like hair manicure and color treatment, to find out more about the difference between these 3 techniques, do visit our previous blogpost HERE. Prior to coloring, bleaching is inevitable in order to obtain a light colored base to work on hence the total amount of bleaching is 3 times but despite that, the hair condition maintained healthy as our salon's bleaching specialty includes oil treatment to protect the scalp and hair from any potential damages. However if you would like to take your ombre a whole new level, we do have airbrushing services now available. This technique allows us to create more prominent gradients and transitioning for 2 or more different colors creating a unique end result. 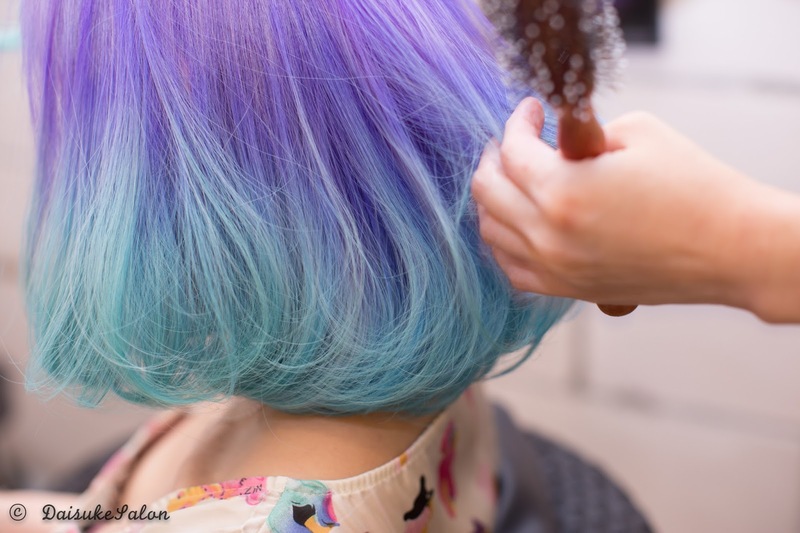 This method is quicker and more precise too compared to dyeing by sections which is usually time consuming, we would recommend this as a finishing touch once your base color is set. 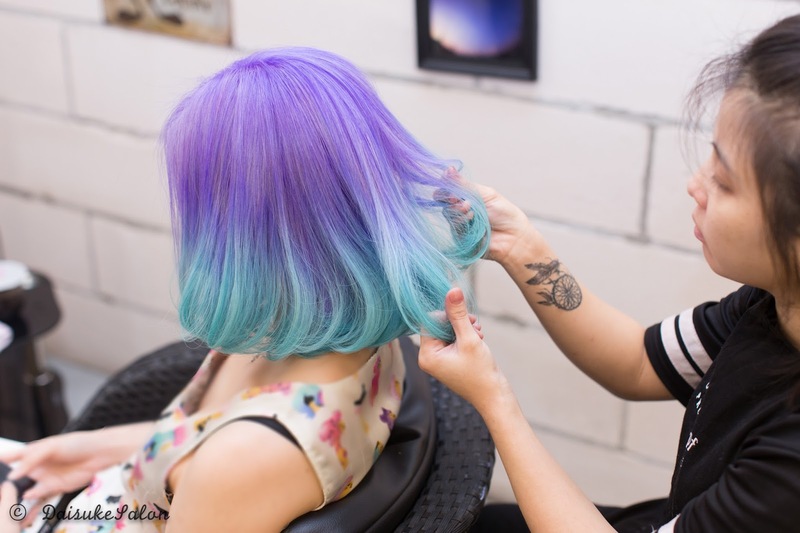 You can finally experience the feeling of getting your hair being "painted" on just like how an artist gracefully moves his brush strokes on his canvas. Check out our video below that's being going viral with shares since we posted it on our official Facebook page.